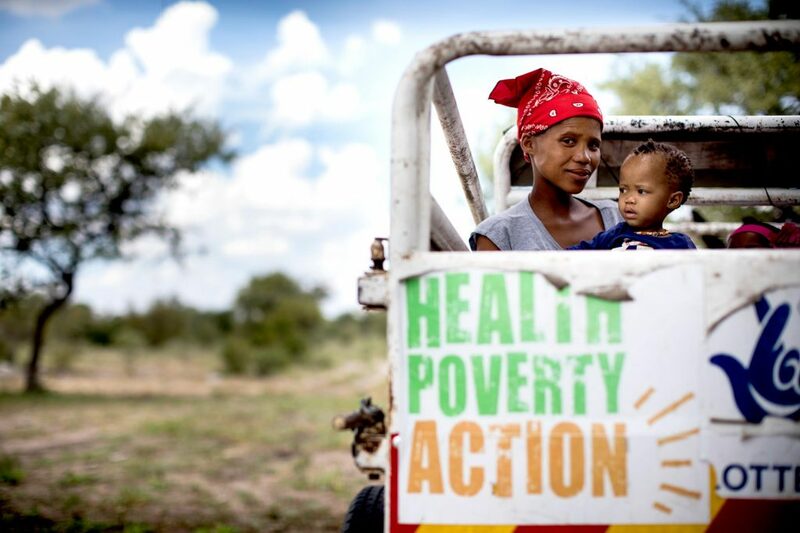 My name is Sabrina, and I am the Supporter Engagement Manager at Health Poverty Action. Last year I was lucky enough to visit the remote region of Tsumkwe in Namibia, hundreds of miles away from the nearest city. 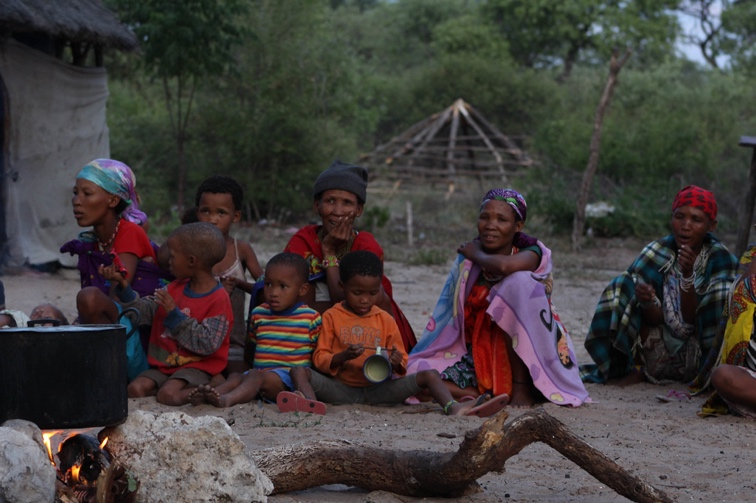 Living in such an isolated region brings a unique set of challenges, particularly for pregnant women. The closest hospital is a three-hour drive away, local clinics are understaffed and underequipped, and health education is almost non-existent. 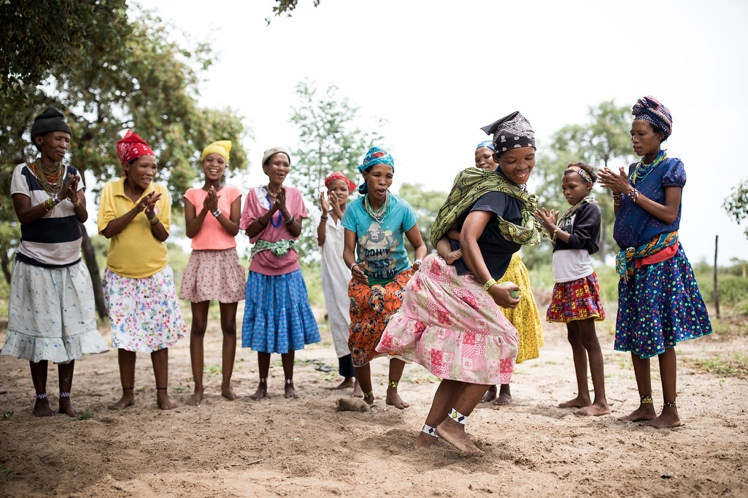 Health Poverty Action is working with the indigenous San community to provide sexual and reproductive health education, improve access to healthcare and support the training of Traditional Birth Attendants to ensure safe pregnancy and childbirth for every woman. 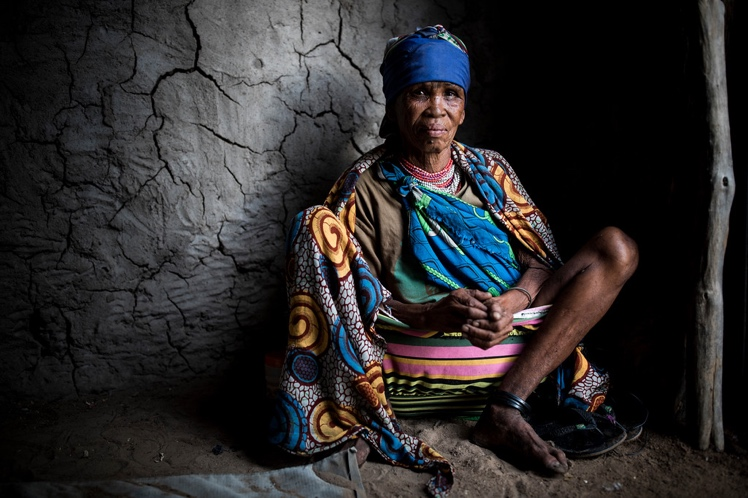 After two and a half days of travel, I finally reach a very hot, dusty Tsumkwe, a nine-hour drive from Namibia’s capital city Windhoek, and get straight to work documenting some of the incredible work our programme team are doing on the ground. 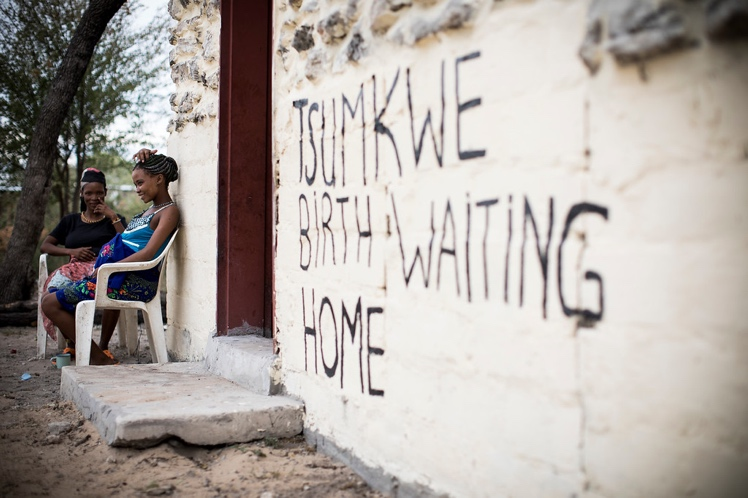 Our first stop of the day was to the Tsumkwe ‘Birth Waiting Home’ where we meet the heavily pregnant Maria. Health Poverty Action is funding and maintaining these basic huts to give women a safe place to stay when they come to visit the clinic. Maria is nine months pregnant with her second child and lives more than two days walk away. She’s made the decision to travel down with her sister a week before her due date to ensure she has easy access to the clinic when she goes into labour (which should be any day now!). She tells me it’s thanks to the community outreach programme that she understands the importance of regular prenatal check-ups, and just how dangerous complications in labour can be without access to a health facility. The huge distances between villages mean that it is extremely difficult for expectant mothers to get to these Birth Waiting Homes or to the clinics for check-ups and delivery. 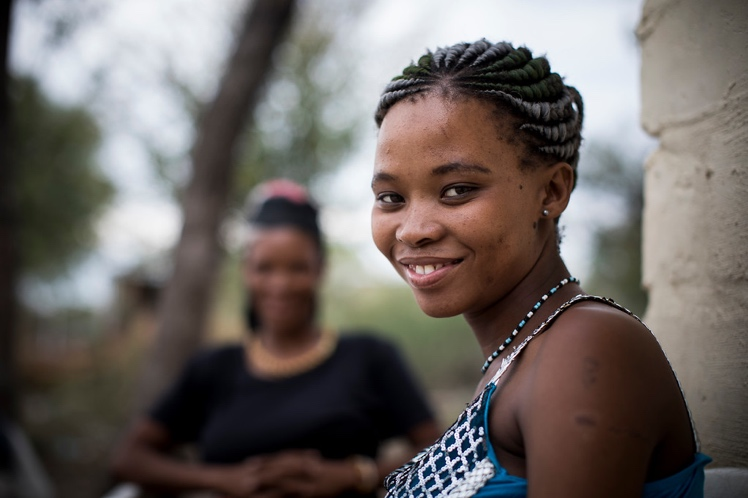 There are very few cars (and no public transport) in Tsumkwe and the terrain can be very tough to navigate, particularly for heavily pregnant women. Our next trip is to the village of Dun Pos here we meet Xao (pictured below in blue) who told me how she gave birth on the side of the road while walking to the clinic with her first child. This time around she is determined to give birth at a clinic. 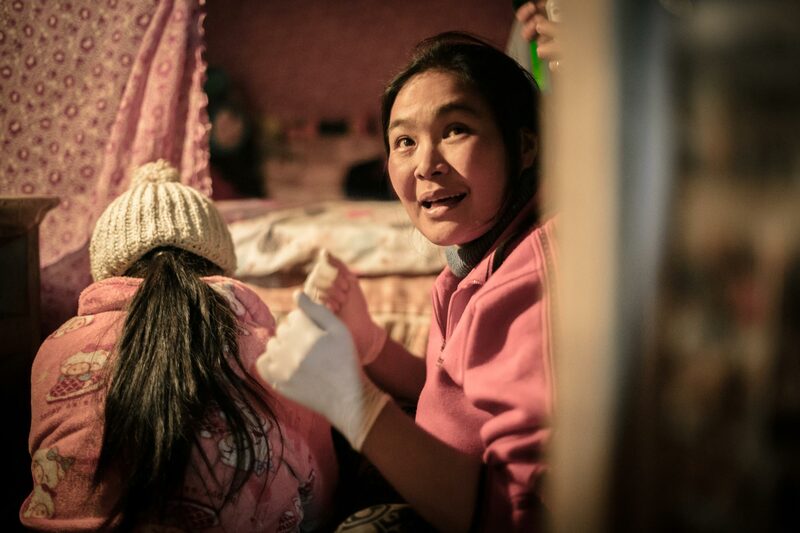 Today Xao and her son are on their way to the health facility for check-ups. 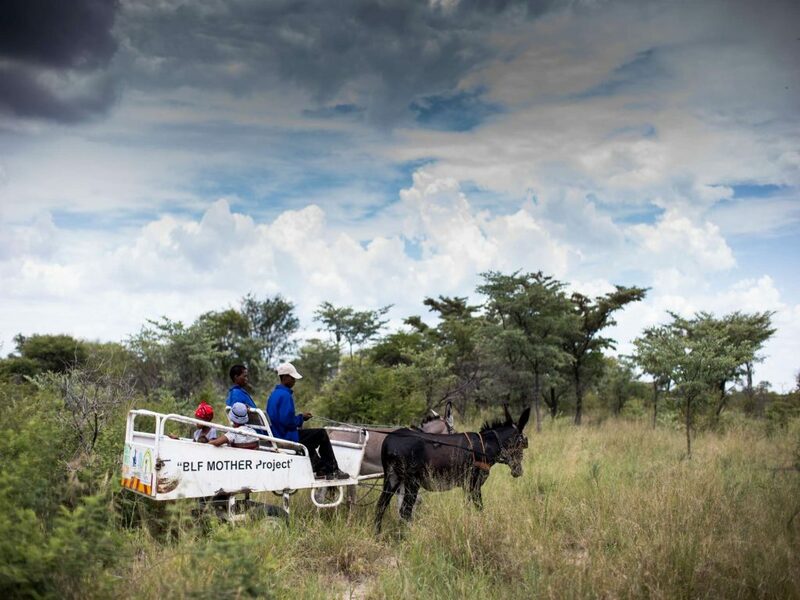 One of the innovative solutions Health Poverty Action have applied are the use of donkey ambulances which are able to traverse the thick bush and take women to the main roads. It’s definitely not the most comfortable way to travel, but often the other option is to walk through thick, snake infested scrubland. After over an hour, we arrive at the Tsumkwe clinic where both mother and baby have a check up and I’m introduced to Gideon. Gideon is currently the only nurse at the clinic, meaning is he on call 24/7 and often needs to travel out in to the bush to visit mothers who aren’t able to reach the clinic. Originally from northern Namibia, he’s lived here for over a year, and despite the challenges, he tells me it’s all worth it to do something he is deeply passionate about. 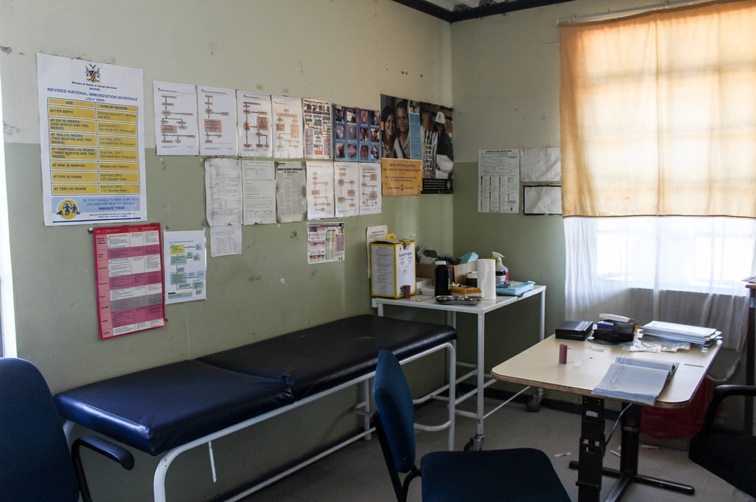 Gideon is one of the few trained healthcare professions in the region as it’s hard to find young doctors or nurses willing to live and work in such a remote area with no internet, public transport or nightlife. Training opportunities for those who live in the area are limited but with the understanding of health education on the rise, we’re seeing more members of the San community advocating for their own health and rights. While we’re at the clinic, Gideon receives a call from a Community Health Facilitator (a local community member trained by Health Poverty Action to spread health education) who is concerned about a woman who has been in labour for almost 30 hours and I find my way back into the bush. While we wait for Gideon to check the mother, a colossal thunderstorm forces us to seek shelter and we’re invited to wait it out in Au’s home. Au is a Traditional Birth Attendant (TBA) who has been helping women to deliver their babies for over 50 years. TBAs are also advocates of culturally appropriate healthcare, and they will often use both traditional and contemporary practices to ensure mothers receive the support they need to feel comfortable during labour. 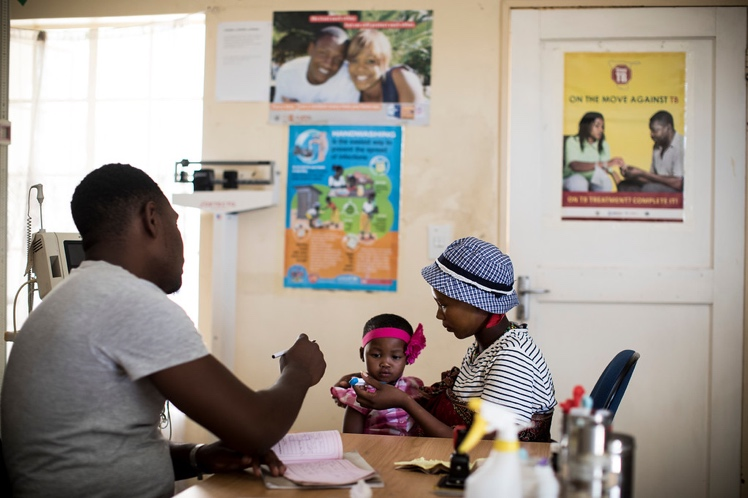 While Health Poverty Action encourages pregnant women to visit the clinics for prenatal check-ups and in the case of complications, we’re dedicated to working alongside TBAs to ensure they receive the training they need to deliver babies safely. We check on Gideon who has successfully managed to turn and deliver the breach baby and both mother and baby are taken back to the local clinic for a check-up. After two hours of heavy rain, everyone is ready to stretch their legs. We head back to Dun Pos where a group of ladies (unsuccessfully!) 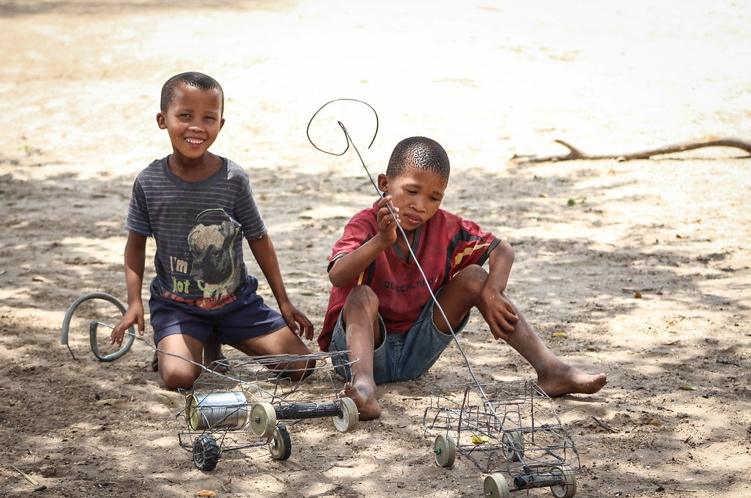 attempt to teach me one of their traditional dances and the boys show off their homemade cars constructed from scrap wire and discarded snuff cans. 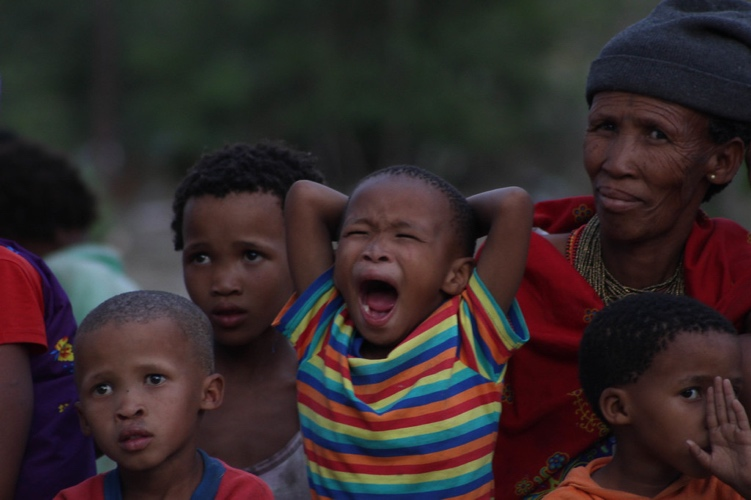 Community is extremely important to the San, and you’ll often find many generations living close together. 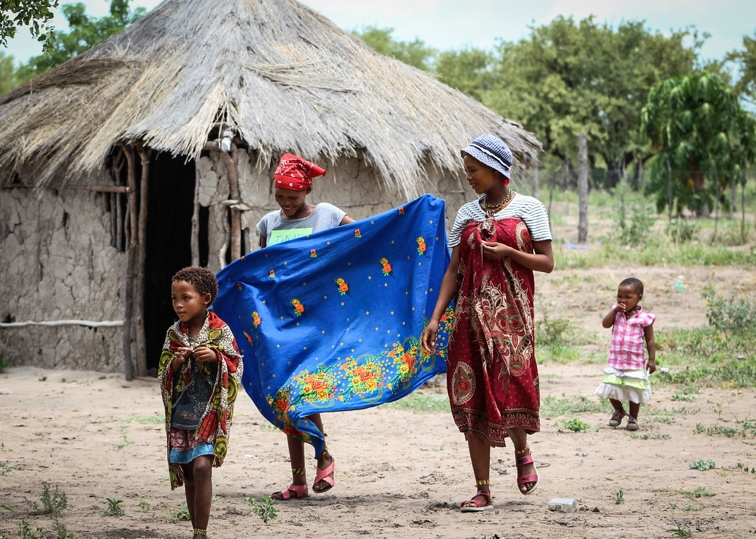 In fact, it was incredible support I experienced in Namibia that inspired the name of this campaign! As the sun starts to set, it’s time for tea and some family time around the fire. 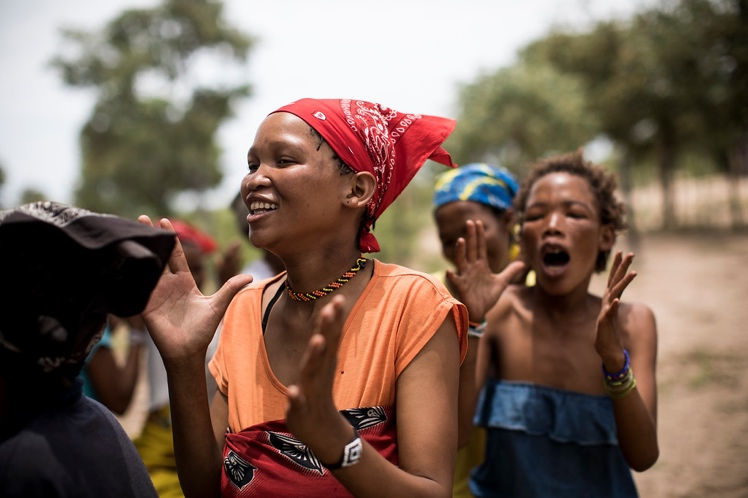 This is also a great opportunity to share health messages, and our local field staff regularly run informal sessions with the whole community to ensure they understand their rights, as well as discussing topics such as family planning, and the risk signs in pregnancy. 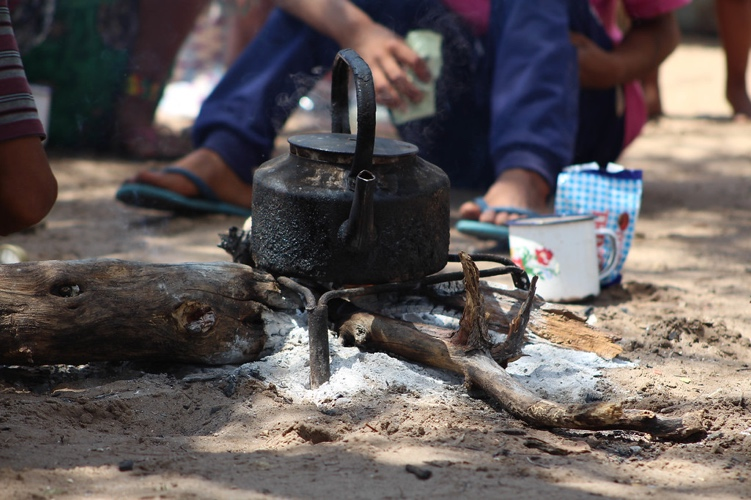 Once the sun starts to set and the fire starts dying, there’s no other light source in the village (and no way of avoiding the wild elephants!) so it’s off to bed, ready for another full day tomorrow.